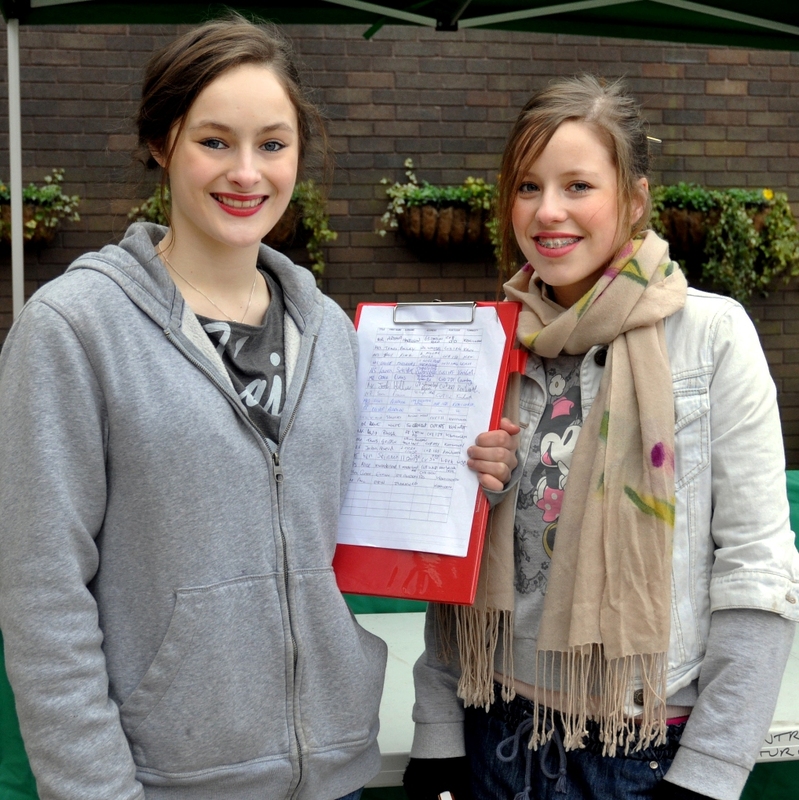 Young people from Kenilworth took to the streets today in Abbey End and Talisman Square (Saturday 22 January) driving the campaign to save their youth club and collect signatures for a petition to Save their Youth Club. SIGN NOW - The Petition will end in five days time when all signatures will be collected and then submitted it to Warwickshire County Council on Monday 31 January at 12 noon. On four evenings a week, the young people of Kenilworth head to the Youth Club in Abbey End. They come to be with their friends in a safe place and discuss important issues to them with adults who offer them respect. They also come to be involved in activities that help them make the right choices as they journey through adolescence. And this week they came to plan how they can further express their dismay at the County Council’s proposal to end all funding to Youth Work across the county! Mirie-Marie (aged 15), said she attends the club regularly to be with her friends. She has also come to the centre to complete important school work and without this valuable resource she will have fewer places to turn to for guidance and support. She and her friends were in Kenilworth on Saturday 22 January collecting signatures for a petition opposing the proposed cuts and have made posters to raise awareness locally. Harry (15) agrees, 'If the youth club closed people would end up hanging around the streets and might end up committing crimes. It’s crazy and will cost the community far more than what it would to keep the youth club open.' Harry talks from experience - when he got into trouble with the police it was to the youth club he turned to for help. SIGN OUR PETITION The County Council’s proposal to end funding youth services will mean than clubs like this will not run. They will be no funding for the professional staff team who mean so much to the young people. The respect shown to the youth workers is evident throughout each evening and all young people talk about them with enthusiasm.